Gaia is a tenured Associate Professor of Management at the Coles College of Business, at Kennesaw State University (GA, USA), and a Faculty associate of the internationally acclaimed Cox Family Enterprise Center. Gaia is currently on sabbatical leave to serve as the Chief Learning Officer for FBN Academy, an initiative of the Family Business Network Asia. Gaia brings a unique combination of knowledge and experience from the fields of strategic management, behavioral science and entrepreneurship to her work with family businesses, combined with a growing expertise in family dynamics and conflict management. 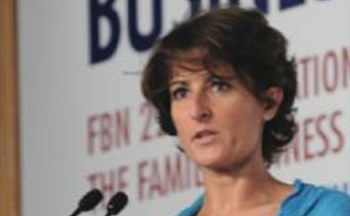 Gaia is also very active in the international arena: she regularly presents and advises families on various topics in family business management around the world, facilitating some of the owners meetings. She has worked with families in Europe, North and Latin America, Caribbean, Asia, Australia and New Zealand.